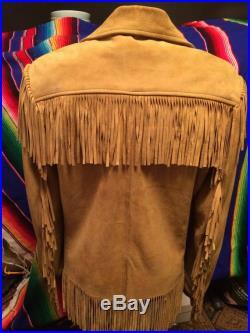 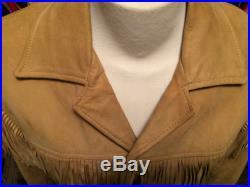 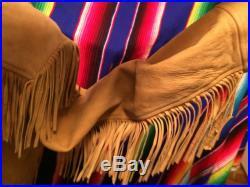 This is an amazing authentic richman brothers vintage leather fringe detailed jacket size 38. 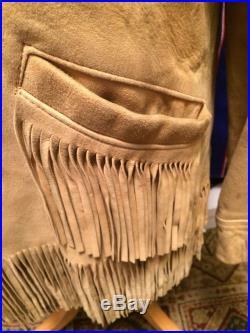 At a flat lay it measures 18 "shoulder to shoulder/pit to pit 19"/pit to wrist 17"/collar to bottom hem 31" including fringe/bottom of coat 19.5this is such a great piece and built to last a lifetime. 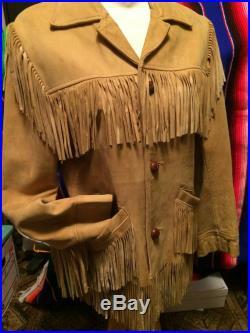 Perfect for all the hippies, folk style indie rockers out there or the modern day cowboy.